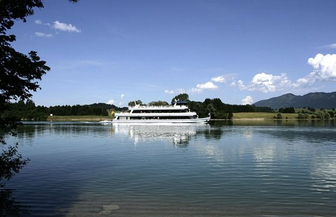 The Eastallgäu area offers a lot within the whole year. Visit us in the spring time when the grassland is yellowish from the dandelion or in autumn time when everywhere are strong colours and the air is pure and clear and invites you to explore the Allgäu mountains. 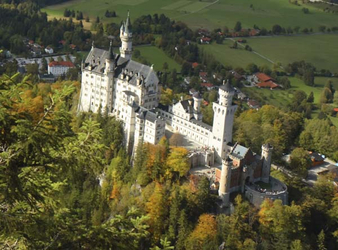 The castles, the fairy-tale castle Neuschwanstein and Hohenschwangau are always worth to be seen. 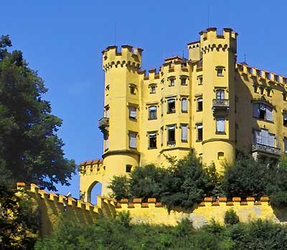 Follow the foot steps of King Ludwig and experience why he just built these castles in our area. Here is a small overview of the castles in our area: castle ruin Eisenberg and Hohenfreyberg, Burgruine Falkenstein and of course the two other world-famous castles of King Ludwig Schloss Linderhof and Herren Chiemsee. 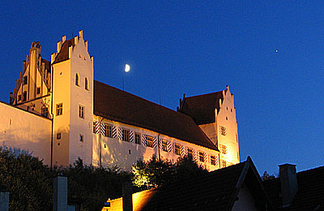 Explore the mountains and the romantic historic center of Füssen. 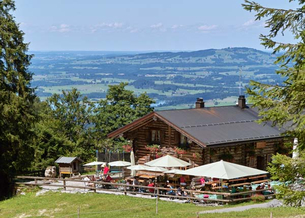 Experience a great walk at the foot of the mountains and have a original Bavarian meal in one of the Alpine hut ("Berghütten") where you will get to know the Bavarian hospitality. 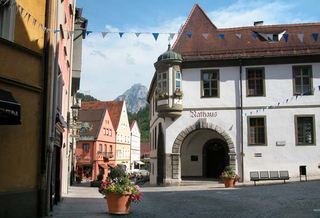 You can also stroll through the historic streets of the historic center in Füssen: Füssener Altstadt. If it is a rainy day you can relax in the Royal therm, "Königliche Kristalltherme". Also the museum of Füssen with the Bavarian state galery, "Museum von Füssen mit der Bayerischen Staatsgalerie", is worth a visit. The origin of the violin manufacturing is located in Füssen which will be shown with outstanding exhibits. It is always a special experience a round trip on the lake Forggensee with Forggensee Rundfahrt where you get a wonderful view over the most beautiful areas of the Allgäu. 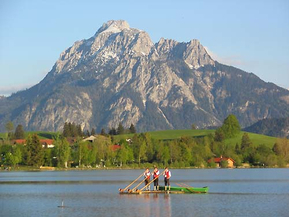 The Allgäu area is rich with lakes. Around Füssen you will find over 20 lakes. The crystal clear lake Alpsee at the foot of castle Neuschwanstein, the lake Hopfensee located in the riviera of the Allgäu, the lake Forggensee which is ideal for sailing, the lake Weissensee which invites for surfing and the lake Obersee which is very idyllic in the quiet district Bad Faulenbach.